The challenge: How do we remove the acute volatility and therefore risk of running a farm? How can we become more resilient and get to a better future? Yeo Valley Farms is the largest organic dairy farm in the UK, and is a great example of how to deal with economic disruption and create lasting transformational change – that delivers better business, without damaging the natural environment. Disruption and no end in sight: Yeo Valley farm was faced with an uncertain future for two simple reasons: first, the volatility of running the farm on an oil-based economy (cost of fertilisers, pesticides, and fuel), and secondly, being too small to compete in the industrial supermarket economy. These two volatile variables pointed to a continuous unsustainable reality, and a most uncertain future. Yeo Valley existed in an ambiguous state. The need was to create a resilient sustainable business that could endure, but how to do it? Thinking systemically: Tim Mead owner of Yeo Valley embraced this ambiguous situation, and explored the problem as a systems challenge. If the farm currently exists in a system that is economically hurting us, how do we deal with that? The answer was to go organic, to remove and reduce the impact of the external volatile forces over which they had no control. We start with the challenges of farming in the UK over the last 100 years; many small holders were locked into an economic model and way of life that, from a UK perspective referenced against the industrial-scale farming in countries such as Canada, meant that shortly after the Second World War the UK was importing 60%+ of its grain, dairy, meat and vegetables. Fuelled bizarrely by the left-over nitrogen stockpiled during the war for munitions, and re-created as a miracle grow fertiliser to exponentially increase agricultural output, but with a deadly endgame of extracting more of natures goodness than we could put back. Ultimately leaving the earth unable to give back what we currently take for granted. We then get onto the economics of farming in the 21st century, the scale and volatility of the milk market (exacerbated by the financial meltdown of hikes in crude oil) and how one deals with such volatility without being beholden to the power and whimsy of the supermarkets. So part of the design challenge is independence, to be master and commander, as best as one can, of one’s own destiny. And in amongst all of that are the cows that are key to Yeo Valley’s success. Developing a thesis of a best possible future: Importantly Tim did this for hard headed rational economic reasons, And 25 years ago when Tim made this decision it was considered highly unorthodox. Organic large-scale farms? Culturally it was a bold move, it takes a strong presence of mind and deep conviction to not be swayed by fashionable thinking. Tim had looked far ahead, identifying a pattern that made sense even though the current ideology was to run farms like industrial machines. He sought the best possible long-term future of the farm. Yeo Valley encouraged more local farmers to become organic and form a cooperative, guaranteeing to buy their produce to cope with growing demand. 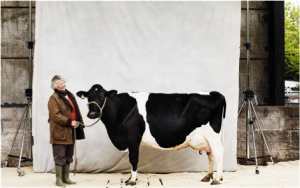 Quality of product and customer demand: Running a large farm organically requires some head scratching from time to time, but it is sustainable and Yeo Valley produces the best milk in the UK. 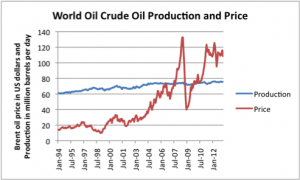 He reduced the cost of his inputs, and increased the quality and quantity of his outputs. He created a greater demand for a superior quality product. Yeo Valley makes eight out of every 10 organic yogurts in the UK. Yeo Valley has recently been marketing not because they are a fan of marketing, perhaps quite the opposite, however the strategy of building a strong brand was that when a supermarket decided not to stock Yeo Valley products, customers would be demanding to know why? And supermarkets always respond to customer demand. Working with the potential of nature: I asked Tim why an organic approach to farming inspired him; he responded by pointing out that to get the best out of nature, you need to respect nature. To do that one must understand it’s a fine balancing act to deliver yield performance of his diary herd and that of the land that supplies the nutrients to the cows to deliver that yield. ‘Push nature too hard’, says Tim, ‘and she will bite you back’, an observation that is so ingrained and implicit in Tim’s worldview, to him, that it’s blindingly obvious. In Tim’s description of how they farm it’s clear he sees the process of being a whole systems design problem. Tim believes cows perform best, producing greater quantities of, and better-quality milk, under certain conditions. The cows need great product, a wide variety of rich nutrients to eat, to do that requires some nuture and networked thinking about what the cows eat, how to give it to them, and how to keep that raw material coming at the highest-quality level all year round. It’s a complex operation, but when it’s explained it makes, to me at least, common sense. The cows have room to roam, their diet consisting of clover-rich grass grown without the use of artificial fertilisers and pesticides. Wildlife is encouraged to flourish and conservation of the land extends to rebuilding limestone walling and placing hedgerows. In an effort to reduce pollution and food miles, lorries transporting Yeo Valley yoghurts are double deckers. “Everybody who is a farmer deep down understands the balance of animals and nature and crops and rotations, and I think most farmers have an in-built sense of what is the right thing to do,” he says. Care for the land and the animals at Yeo Valley is a prime concern and all production sites are certified by the Soil Association. Yeo Valley produces over 2,000 tonnes of yogurt each week. 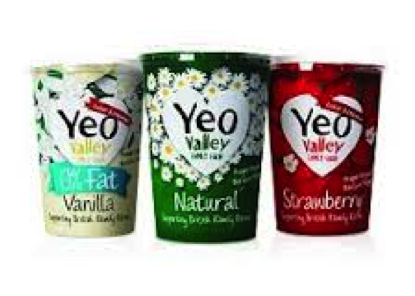 The Yeo Valley Organic brand continues to grow and the range now includes: Yeogurt (fruity, low fat and Greek varieties), milk, children’s products (First Yeos, Little Yeos, Yeotubes and Smoothies), butter, cream, Frozen Yeogurt, ice cream, compote and rice pudding. A cooperative business model: The farm and the business cannot run without people so people count too, as a working community, especially since they work as a cooperative. Yeo Valley understands what I would call true corporate social responsibility, which is about doing it because it is the right thing to do, and they are backing the people upon whom their business depends This was evident in the way Tim helped establish the Organic Milk Suppliers Co-operative (OMSCo). Before 1994 all milk was sold by the Milk Marketing Board, but under deregulation of the sector farmers were left to sell direct to manufacturers and organic milk producers suffered from a shortage of buyers. “When organic farmers were looking for somebody to buy their milk, we encouraged them to get together and promised to buy their milk for a period,” says Tim Mead. Usually, manufacturers don’t like it when farmers get together because they don’t like the strength that working together gives them, but Tim encouraged organic milk farmers to set up a co-operative and promised support by giving them a guaranteed market. Yeo Valley Organic continues to take milk from around 100 OMSCo farmers in the South West to supplement the milk that they produce on site. But for Mead this is simply the logical way of running his business. “If things are not in balance or sustainable then they aren’t going to be there forever, are they?” he asks. “I think most farmers feel that they have to take care of the land and what they are farming, and I think most of them feel, financially, it is difficult because the returns from farming average at 1.5 to two per cent on capital over the last 50 years,” he says. He blames a distorted market for this low return. In search of authenticity: Yeo Valley Organic has become a market leader because it is a brand with authenticity. Organic is about buying into an ethos and a way of farming. A true organic consumer wants to buy from a credible outlet. A values based approach: Tim Mead is big on values “Maybe we have started to learn lessons from the financial sector across other sectors. Maybe big is not always beautiful, maybe multinationals aren’t always the answer. If you are just doing things for profit, who are you serving? 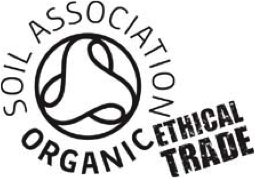 The shareholders or the people who buy your products?” Yeo Valley represents an ethical framework and values based approach to commercial and business practice, by asking – is what I create for the collective good? Short term thinking can leave you vulnerable: In contrast, Tim believes that those agricultural companies completely dependent on an oil-based economy are in fact unsustainable, and vulnerable to a volatile global economy. He believes that his overall operation although organic, which does present its own unique challenges, is more enduring and economically viable. Nothing is wasted. It is also a fine balancing act between now, tomorrow and ten years time, but this constant headache means Yeo Valley Organic constantly invests in its future by investing in the whole ecosystem. It constantly invests in the quality of its soil, its herd, its manufacturing capability and its people. One simply cannot separate one from the other. 1. Ambiguity: Tim Mead was prepared to look towards the long term future of the business. He was able to properly diagnose the underlying forces that were hurting Yeo Valley by thinking systemically. Some people and organisations become paralysed by fear when they face an uncertain world. 3. Openness is resilience: Yeo Valley produces a superior product, and has developed a thriving business by working with and respecting the diversity of nature, and its eco-system. 4. Participatory cultures: Yeo Valley works very hard with its local community, as the farm works a great deal of the YEO Valley so people and place are seen as critically important. Yeo Valley farms also does a great deal of educational work bringing children and adults onto its land to share its knowledge ways of working and philosophy. Lastly it cooperative model has proven to be highly effective. 5. Craftsmanship: Today Yeo Valley Organic is a well-known organic dairy company, with many awards for product quality and innovation, and a Queen’s Award for Enterprise presented in 2001 for the revolutionary way it worked with its farming suppliers, encouraging them to turn organic and giving them long-term ‘fair trade’ contracts. The firm won another Queen’s Award for Enterprise, for sustainable development, in 2006 for its “Approach to management with continuing support for sustainable UK organic farming thereby minimising environmental impact. 6. The gamer seeks and EPIC win: Yeo Valley Farm went from a small farm going out of business into a company that delivers great healthy products, is profitable and contributes to the health and wealth of the UK.